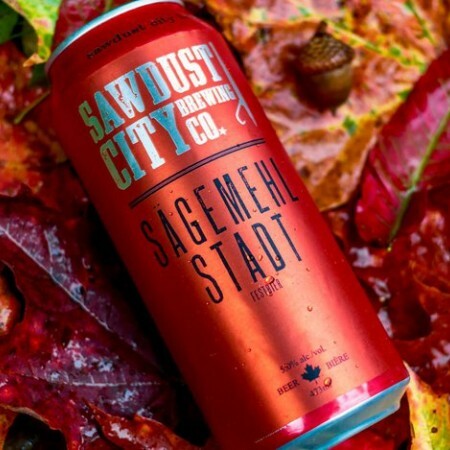 GRAVENHURST, ON – Sawdust City Brewing has announced the return of its annual Oktoberfest beer. Sägemehl Stadt is available starting today (September 13th) in 473 ml cans at the Sawdust City retail store and online shop, and select beer bars in Ontario. It will also be on tap at the Sawdust City Oktoberfest party on September 29th.